Despite being an altogether solid mobile OS, Ice Cream Sandwich seems to be taking an age to reach many Android devices. Although the Samsung Galaxy S II has finally been blessed with the official ICS update, it will still only be the second device after the heavily-delayed Galaxy Nexus. In the meantime, those owning some of the other Android-based devices are still waiting for some official support of Google’s latest and greatest mobile operating system. In the meantime, there are ways to enjoy certain features of ICS without actually installing it on your device if you’re not feeling particularly patient, and custom launchers are a prime example. We’ve featured quite a few of late, from the cool Nova launcher to the versatile Apex launcher. To add to the growing list of decent alternative launchers, Phoenix Launcher replicates the smooth, slick Ice Cream Sandwich’s launcher on any device running the older Gingerbread firmware. 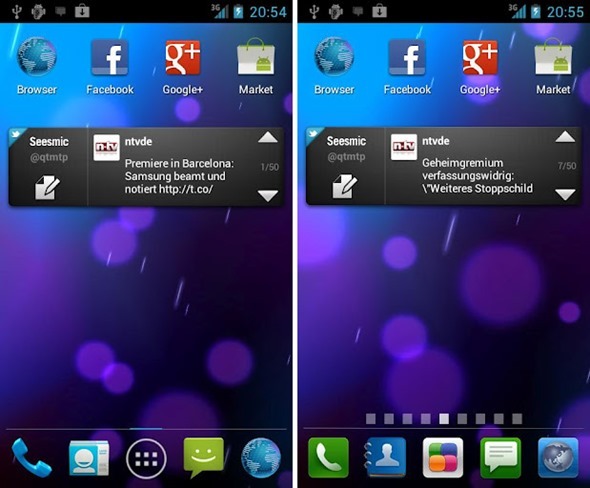 Phoenix Launcher includes ICS’s smooth transition animations, as well as its dock, app drawer, and nice collection of wallpapers. You can alternate between different homescreens, but if you wish to use widgets from the app drawer, you will need a rooted device. All of Phoenix Launcher’s other features will work whether you’re rooted or not. With talk of Jelly Bean (5.0) launching in the coming months, there will need to be a stark improvement on how new software is trickled out to devices. Ice Cream Sandwich’s reach represents just a fraction of the many millions of Android users worldwide, with some suggesting just 1% of the total Android population are running ICS. 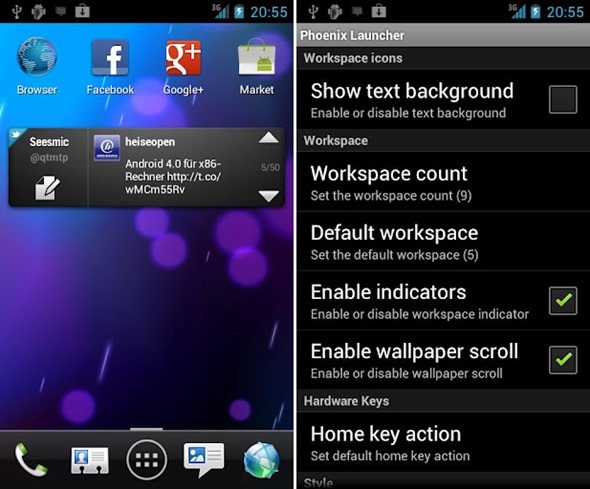 Phoenix Launcher costs $2, and compatible with devices running Gingerbread and Ice Cream Sandwich, but there is a free version enabling you to try before you buy.